Driving traffic from search engines, social media and other websites to your own website is perhaps the number one goal of any webmaster or blogger. Without such organic forms of traffic, how else can your site be justifiable, ascend search rankings and earn quality revenue? Unfortunately, search engines change the nature of link building algorithms quite often, and also vary up considerations (cost, ranking) in paid advertising campaigns. 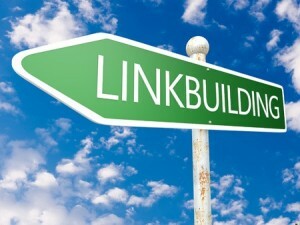 What aspects of link building can be learned and not made obsolete in a few months? In the following article, we’ll discuss what you need to know if you want your link building efforts to continue to produce results. Anyone who is pinging to Google for search engine optimization benefit – or simply wanting to be indexed – must understand the minutiae that makes it tick. Nobody wants to link to a site that is recognized by Google as being low-quality, because it can affect their own efforts. The most important thing that you can avoid is to not scrape content from other sites and use it as your own: Google will recognize this in a second, and will subsequently make it difficult for you to be seen in any search results. Other websites want to link to sites that are not bad for them; this will kill your potential to earn inbound links. Affiliate linking can work quite well when coupled with original content – if you simply create a dozen different affiliate pages with copied content, then expect nothing good from the effort. Low quality posts from guest bloggers are another bad way to earn links on other sites, as this will be detected and your ranks will begin to slide. Those who are pinging links to search engines and want links coming to them from other sites will be tempted to cover as much material and as many topics as possible at some point or another. Unfortunately, this can create a dynamic in which you never really develop enough content in order to saturate search engines and reach the eyes of people who would backlink. You should always strive to keep content creation focused in a narrow swath, and perhaps even more importantly, only focus on obtaining links from other sites that have the same focus. If your site talks about outdoor camping and you have links coming from sites that sell dresses, then you’ll not only not be gaining any valuable traffic, but search engines will view this as a gimmick. While your content does need to be focused on a narrow set of interests, your overall strategy for building links does not. There are plenty of different ways of building links with relevant and trusted sources. The creation and distribution of high quality content, for instance, will ensure that you are creating as many opportunities as possible for this to occur organically. In addition to this, obtaining recommendations and mentions from other sources and people will help further this process. Social media activity is another great way to generate opportunities, as is the syndication of your content through other websites. Guest blogging also has potential (if you are a good writer). These are just a few of the ways you can be diverse in pinging links and building new ones. What other ideas have worked for you?